The Victoria performance has been CANCELLED due to circumstances beyond Headlines Theatre’s control. The Saanich Adult Education Centre, sponsor of the event, has decided it is unable to continue organizing for the show. The company was looking forward to performing Meth in Victoria, and is very disappointed to make this announcement. 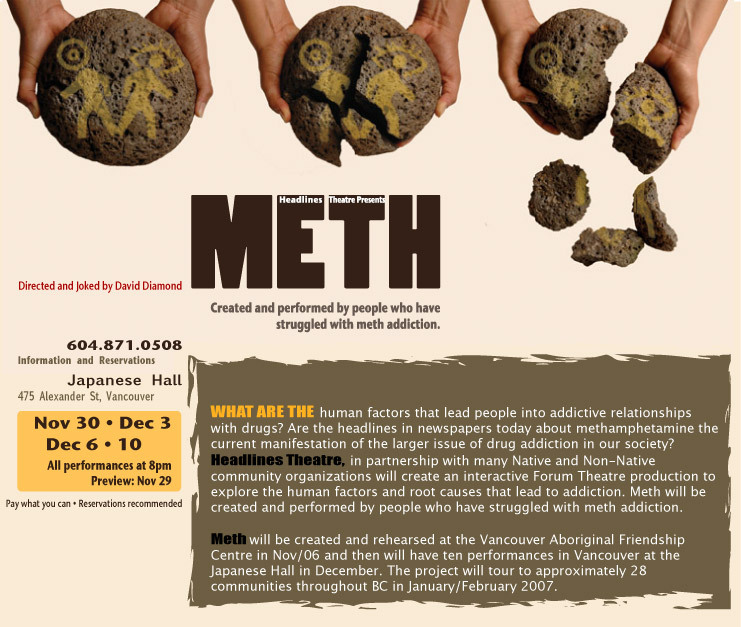 Headlines Theatre hopes that nobody is inconvenienced by this, and encourages Vancouver Islanders to attend Meth in a nearby community.